Do not underestimate its size. 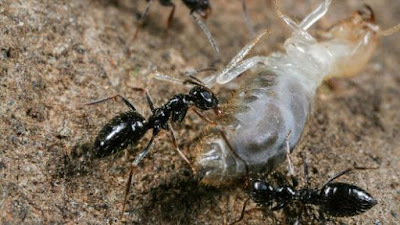 Who would have thought if the ant species that live in the forests of Ethiopia is capable of being a threat to humans. Lepisiota Canescens ant species can be buit super colonies that will spread rapidly in many regions, disrupting the ecosystem and even become a threat to humans. This finding was revealed from a study by a group of American and Ethiopian researchers which have been published in the journal Insectes sociaux. The team included scientists from several institutions in Ethiopia and the United States, including North Carolina Museum of Natural Sciences, University of Tulsa, Bahir Dar University, California Academy of Sciences, and the Smithsonian Institution. 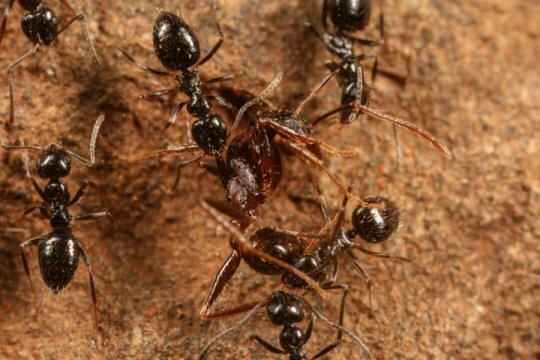 Researchers observed that the ant genus Lepisiota has mastered the Kruger National Park in South Africa. These ant species colonies were spread in a large area. It is a sign that these species become invasive. They also say that the ant species is the largest super colony ever observed in their natural habitat. They noted this super colony stretching up to 38 km. "The species that we found in Ethiopia has the potential to become an invasive species," said D. Magdalena Sorger, a researcher from the North Carolina Museum of Natural Sciences was quoted as saying on CNBC on Friday, November 25, 2016. "Invasive species spread by humans, along with tourism, and trade in Ethiopia are increasing. And only with one queen, the colonies can be formed," he added. Typically, the ants form the colonies consisting of one nest and ruled by a queen. But there are 20 different species of ants. They form what is called super colonies consisting of many hives and queens. Super colonies can contain billions of ants who had gathered and were able to remove other ant colonies. For example, the Argentine ants, these ants have a super colony that covers a large part of California and is now expanding to Mexico. Even, the Argentine ants drive out the native ant populations. These ants attack also cause declines in predators that prey on native ants. And the Argentine ants have also become a 'part' of the Californian society. People reported if they are rampant in the house, out of the pipe, and even in the bags.